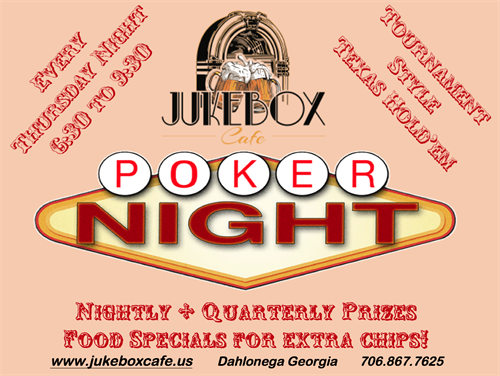 Free Texas Hold em Poker Night Thursdays! Name: Free Texas Hold em Poker Night Thursdays! Free to enter and prizes for 1st and 2nd place given out every week. Earn points towards the quarterly tournement of champions for even more prizes! Begginers ARE WELCOME and encouraged to come out and learn with our VERY friendly Poker crowd.